Sirkazhi is a highly revered shrine with 71 (the most number of known) Tevara Patikams and is located in the vicinity of Vaitheeswaran Koyil near Chidambaram. Sirkali is considered to be the 14th of the Tevara Stalangal loacted to the North of the river Kaveri in the Chola region of Tamilnadu. It is a center for Bhairava worship, and the site of authorship of several works. Sirkazhi is known mostly by its association with Sambandar. West of Sirkazhi is Tirukkolakka where Sambandar was blessed with a pair of golden cymbals, south of Sirkazhi is Tirunanipalli the home of his mother, and north of Sirkazhi is Aachaalpuram where Sambandar attained beatitude. The well known Sirkazhi Govindarajan who has rendered several recordings of Tevaram hymns hails from here. This well maintained temple is under the able administration of the Dharumapura Adhinam. 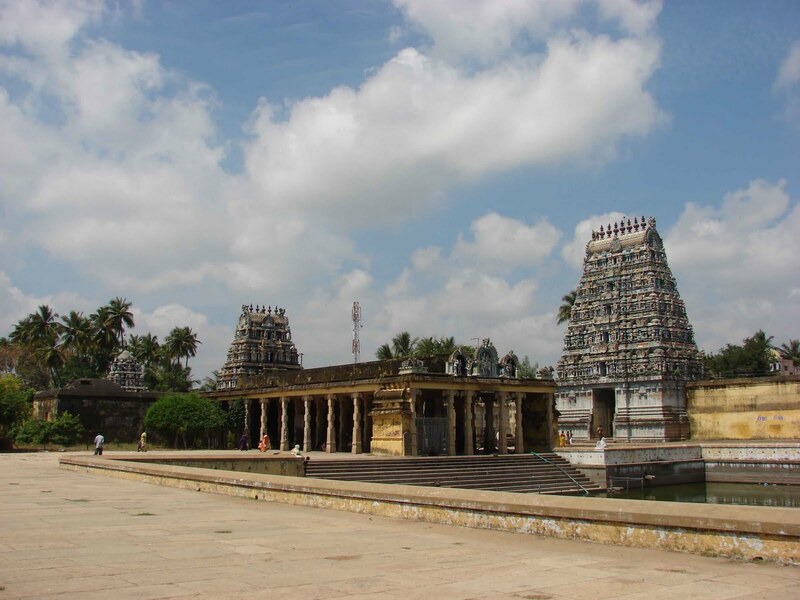 The Temple: This is a vast temple complex with 3 different Shiva Shrines. The Bhramapureeswarar shrine is housed in the lower level. The second level houses Periyanakar with Periyanayaki on a 'Thoni' & hence the name Thoniappar. Sattainathar/Vatukanathar is also housed here. From the steps leading to the Toniappar and the Vatukanathar shrine, one can grasp the entire layout of this vast temple and its towers & mandapams. There are 22 Theerthams associated with this shrine. Three different forms of Shiva are worshipped here, the Shivalingam (Bhrammapureeswarar), a collossal image of Uma Maheswarar (Toniappar) at the upper level, and Bhairavar (Sattanathar) again at the upper level. The temple has 3 vast courtyards with high walls of enclosure. 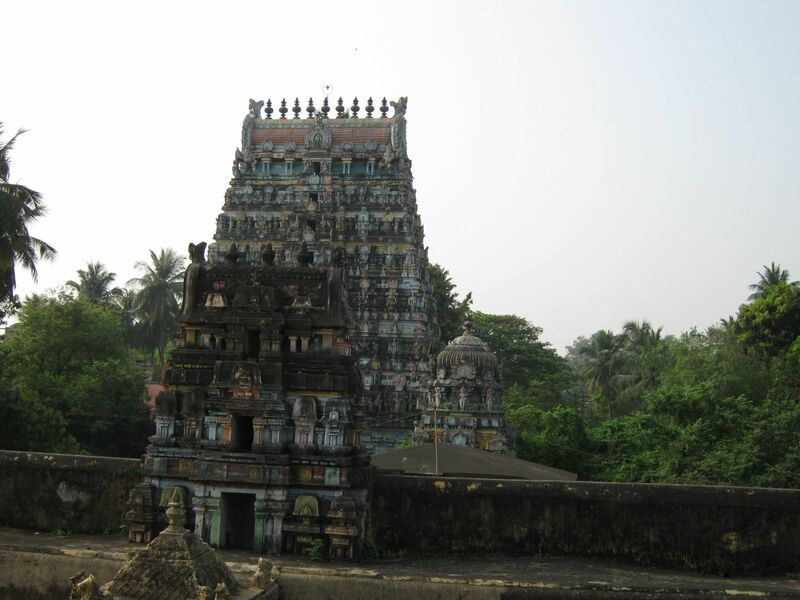 There are two sets of 7 tiered gopurams in the outer walls of the enclosure. The original shrine during the period of the Nayanmars included the shrine of Bhrammapureeswarar, on the southern bund of the temple tank; the Toniappar shrine on a mound west of the central shrine, and the Sattanathar shrine in the second floor reached from the southern prakaram of the Toniappar shrine by a flight of steps. 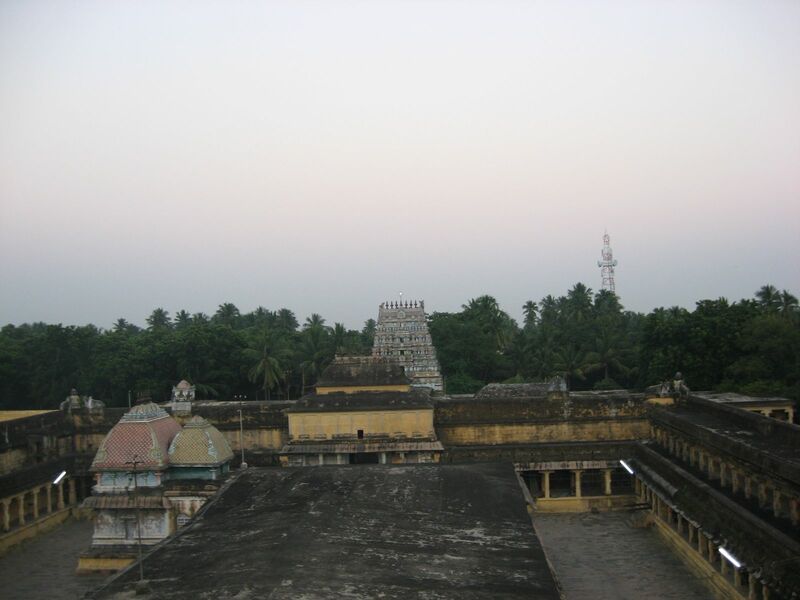 The enlargement of the original temple happened during the period of Kulottunga I, Vikrama Chola, Kulottunga II and III (as in Chidambaram - 11th through the 13th centuries). Legends: During the great deluge that submerged the earth, Shiva is said to have carried the 64 arts with him in a raft, in this shrine, hence the name Toniappar, and Tonipuram. Bhramma is believed to have worshipped Shiva here, hence the name Bhrammapureeswarar.. Bhairavar or Sattainathar(who is said to have quelled the arrogance of Trivikramar, after his having shown his dominance over the three worlds) is worshipped each Friday night. The association with Tirugnanasambandar: Sambandar as an infant is said to have been fed with the milk of wisdom by the divine mother Parvati on the banks of the temple tank just prior to the commencement of his authorship of the anthology of Tevaram hymns commencing with Todudaiya Seviyan. Festivals: Six worship services are offered each day. Special worship services to Bhairavar (Sattanathar) are carried out on Friday nights. The annual Bhrammotsavam is celebrated in the month of Chittirai, where on the second day, the Tirugnanasambandar festival is celebrated. Festivals for Ambaal are celebrated in the month of Aadi and during Navaratri. Sirkazhi is a small town near Chidambaram, which is 20 kilometers away. It is also near to many important temples like Vitheswaran Koil (six kilometers), Saniswar temple at Thirunellar (30 kilometers) and also about 12 Divyadesam Shrines of Lord Vishnu around it.